The Basic Starter Website is a simple website for those that want to be online to illustrate their products or services economically. This monthly plan includes a domain name, hosting, 4 pages, maintenance and updates every 6 months. Your website deserves a great Domain name. A Domain name is one component of a website trifecta: the others being Hosting, Design & Development. All the text, graphics and images for your website have to physically sit somewhere so that internet browsers can populate and display your website. This is what hosting provides. Think of it as a hard drive located in “the cloud.“ Hosting is included in our monthly website subscriptions. SEO means optimizing your website so that it shows up in search results from Google, Bing, Yahoo etc. for your products & services. SEO is complex and dynamic. Results vary. 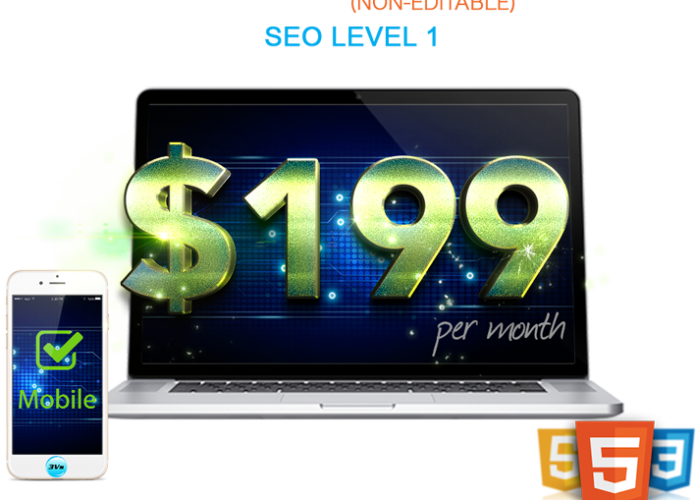 SEO Level 1 Basic Included. SEO UPDATES every 12 months. Web technology moves extremely fast. Receive a new design & development every 4 years to ensure you’re ahead of the times and your competitors. Our Professional Website is a great starter website for small businesses. These websites include a domain name, hosting, 10 pages, maintenance and updates every 3 months. The Professional Website is a web 1.0 website, which means the website is static… there is no login or back-end where you can edit the website. The Professional Website has greater design features beyond what the Basic Website offers. The Advanced Website is a Web 2.0 website. That means it has a back-end login dashboard. You can edit aspects of the website including text, images, videos and more. We build our Advanced Website using WordPress, which is one of the most popular CMS website platforms for several years now. Our Advanced Website is extremely versatile in design styles. 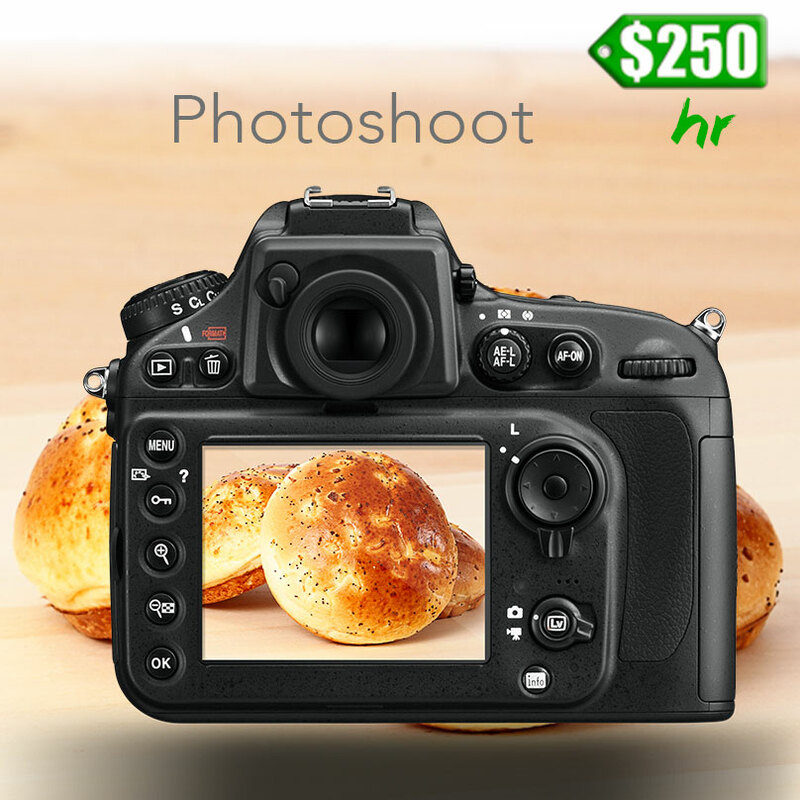 It can be elegant with full screen responsive images that slide and fade across the screen, an auction website, a membership website, forum website or corporate enterprise website. These websites are responsive. That means the website will display correctly on ALL devices, monitors, tablets, smart phones, TVs and projectors. This is a completely custom website, which means that it is not built from a template. Instead, every aspect of the website is custom created to fit the design style that best suits your business. Your website will be completely built from the ground up. The layout can be however you want. All graphics and images will be custom designed for your business. 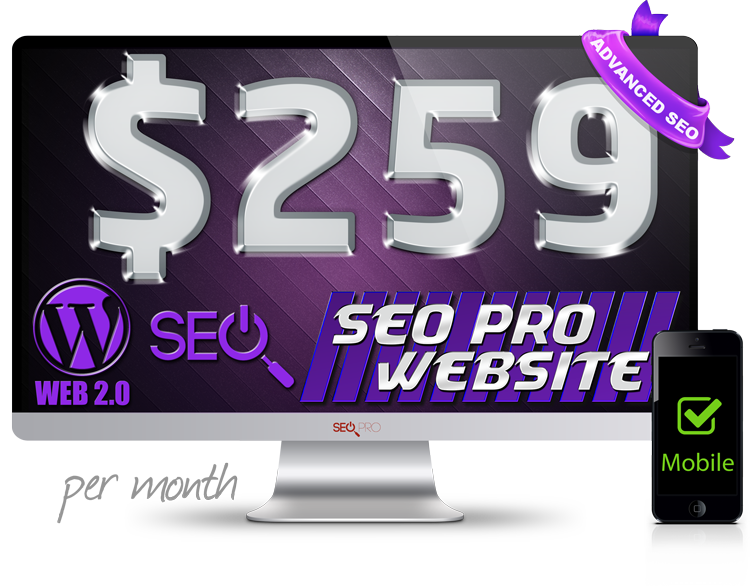 Our Advanced SEO Website has everything that our $199 Advanced Website above offers, but adds several SEO components for businesses that are more concerned with their products / services showing up on the 1st page of search engine results such as Google, Yahoo and Bing. Specifically, we code the website for your keywords. We daily monitor the ranking position (up or down) of keywords & your website on Google, Yahoo and Bing. You will receive reports each week to see which keywords are working and which are not working. With this information we can make changes to further optimize your website for your products and services. This is a completely custom website, which means that it is not built from a template. 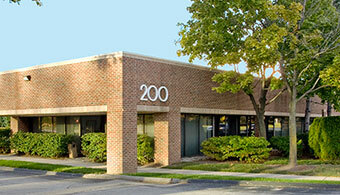 Instead, every aspect of the website is custom created to fit the design style that best suits your business. Know what’s working and what’s not. We monitor what position your keywords are ranking on the 3 major search engines, Google, Bing & Yahoo and make changes to further optimize your website. You will receive weekly reports showing what position your website ranks for each of your keywords. You will also get reports on your Google Page Rank, the number of back-links to your website, local listing results and Google Mobile rank tracking. 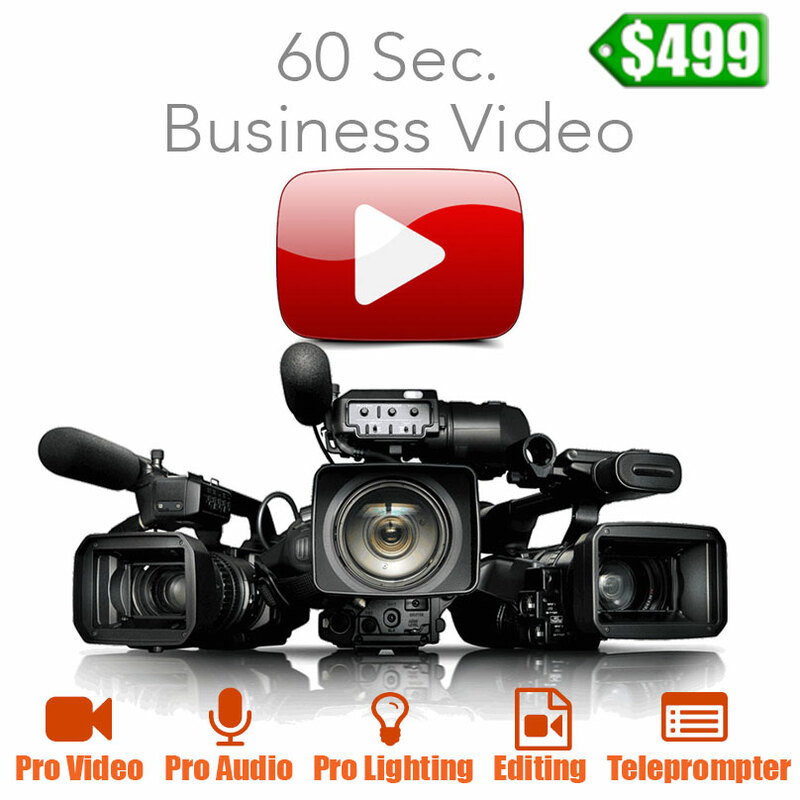 Finally, we can even track You Tube videos and where they rank in search engines. 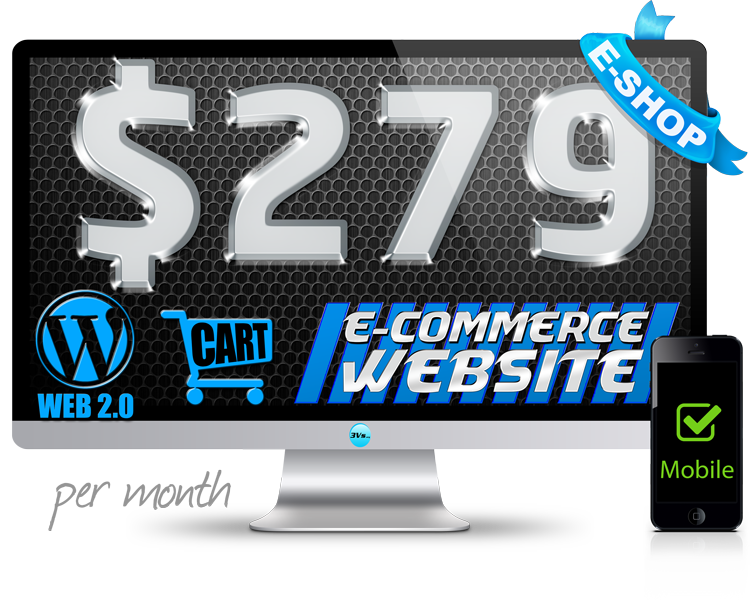 Our Advanced E-Commerce Website is built on WordPress just like our $199 Advanced Website. 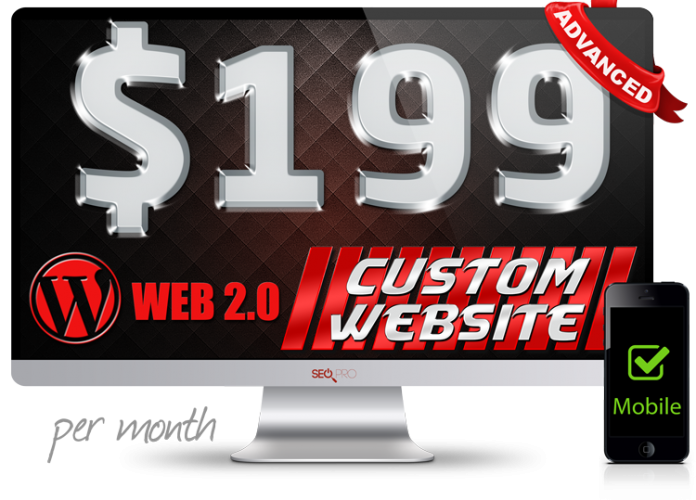 All of the features listed in our $199 Advanced Website are also included. This website is specifically for businesses that want to sell products or services on their business website and process those sales and payments using thier merchant account vs PayPal or some other separate website for credit card processing. This is an enterprise level shopping cart / eCommerce website that meets or exceeds any eCommerce website that you can imagine. Naturally, you will have a login, which will allow you to add, remove and edit your products / services, edit text, images and videos. This is a completely custom website, which means that it is not built from a template. Instead, every aspect of the website is custom created to fit the design style that best suits your business. *NOTE: Merchant Account that supports web integration required. Thorough-bred eCommerce store. Delivering enterprise-level quality & features. 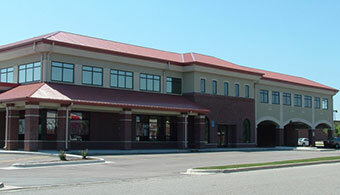 Comprehensive Store Management, Security, Reporting, Marketing & Promotion, Intricate Tax & Shipping options, SEO. Manage your products and services, sales, shipping and more all online 24 hours a day, 7 days a week. Processing credit cards on a website requires an annual SSL certificate. SSL certificate included with this monthly plan.